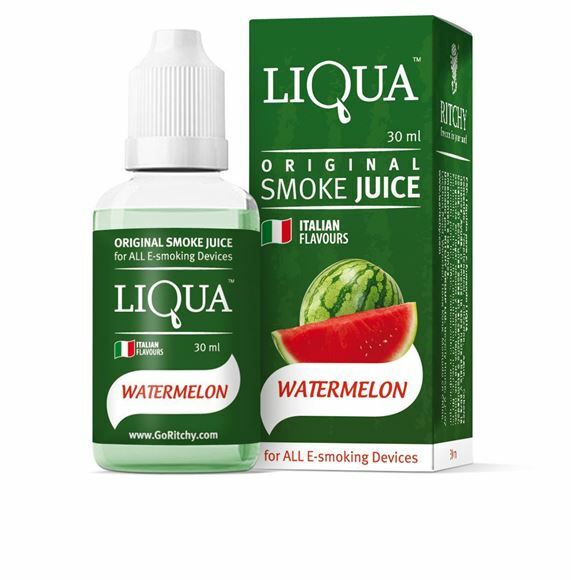 Buy Liqua E-Liquid - Watermelon 30ml in Melbourne, Australia. Free Delivery* and Discount. So what is Liqua E-Liquid - Watermelon 30ml? Watermelon does not conceal delightful, giving a naturally cut bit of watermelon with each taste. A full yet delicious flavor and charming completion all through. Whether you smoke a little or a great deal it doesn't matter, delight in all of it! E-Liquid Watermelon conceals crisp heavenly from naturally cut ? ?watermelon with full delicious flavor and agreeably sweet closure. It is well known particularly among less serious smokers, however it is additionally mainstream by consistent smokers for its sweet and reviving smell too. LIQUA’s full range of tastes are designed carefully by those who really know what theyshould be – the most professional flavorists from Italy. That means LIQUA’s Tobacco taste is truly right - as fresh as natural leaf Tobacco. LIQUA Watermelon flavor is as juicy as a real green Watermelon, and LIQUA Watermelon – tastes as good as what you’ve got in your morning cup.